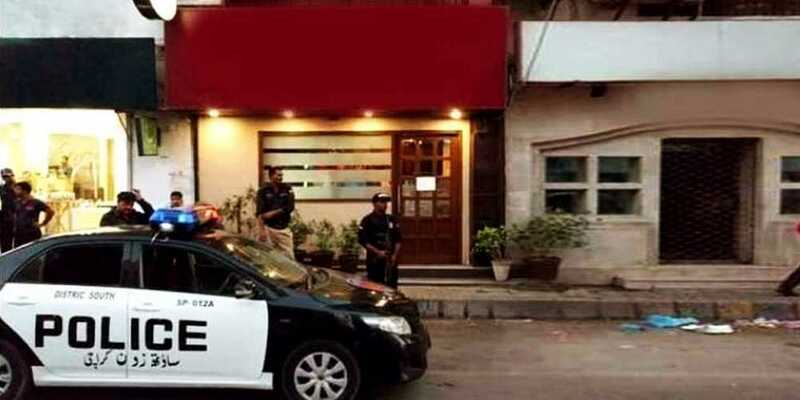 Two minor brothers allegedly died of ‘food poisoning’ and their mother was hospitalized after dining out at a high-end restaurant in an upscale neighborhood of Karachi Sunday afternoon. According to SSP South Pir Muhammad Shah, the family had eaten dinner at the restaurant, Arizona Grill, at Zamzama Boulevard, in DHA Phase V and later had some sweets at a shop outside Chunky Monkey amusement park in Phase IV on Saturday night. Authorities have sealed the restaurant for forensic analysis as the police initiated a probe. The family fell sick soon after eating out. And when their condition deteriorated, they were shifted to a private hospital Sunday morning, where the two minors — aged one and five years — died during the course of treatment. The mother is still under treatment and medics say her condition is stable. The chief minister also asked for a report on the last inspection of the two facilities, with details of the inspection mechanism clearly outlined.